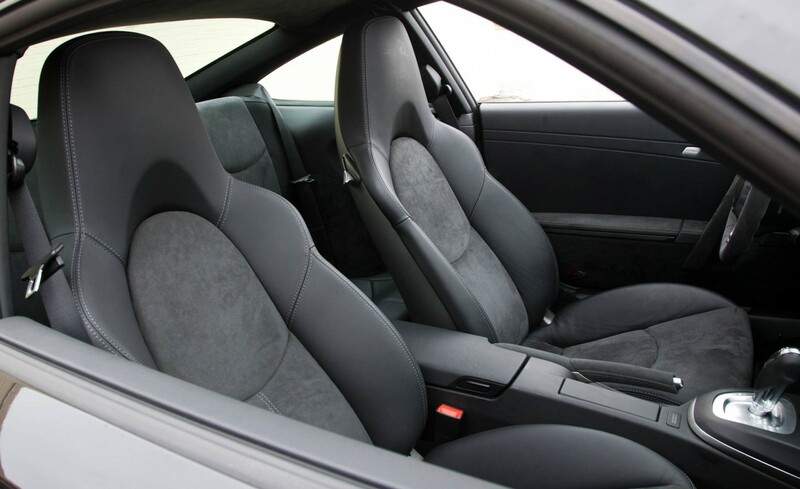 Porsche called the Porsche 911 Carrera GTS “new” when it was introduced earlier this year, but that description has been applied to many members of the current—and soon to be superannuated — Porsche 997 generation of the Porsche 911. Indeed, the engineering and marketing departments have conspired to produce nearly 30 variants of the current car, embodying distinctions that range from readily tangible to all but subliminal. With the next generation—the the new Porsche 911 (Porsche 991) —on the near horizon (the official debut will be at September’s Frankfurt auto show), this permutation of the Porsche 997, the GTS, is among the last. 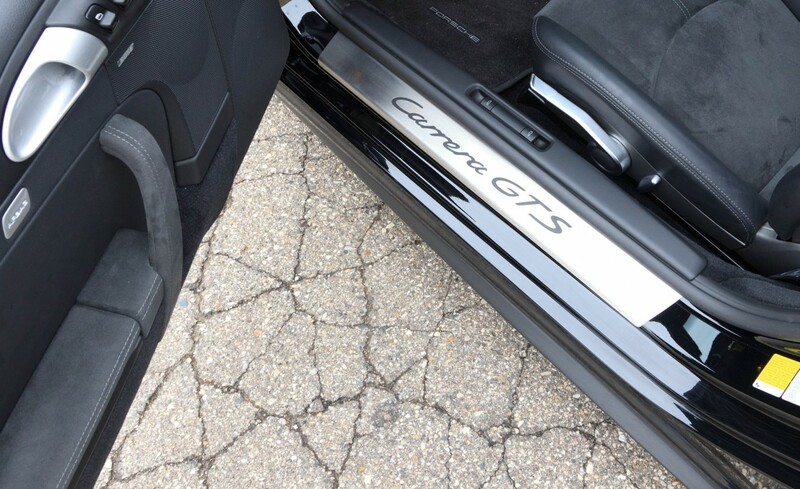 As a percentage of increase, the extra output of the Porsche 911 Carrera GTS version of the naturally aspirated 3.8-liter flat-six propelling the Carrera S isn’t vast: 408 horsepower versus 385, plus a 200-rpm drop in peak torque availability, imparting a slightly more agreeable curve to the torque band. 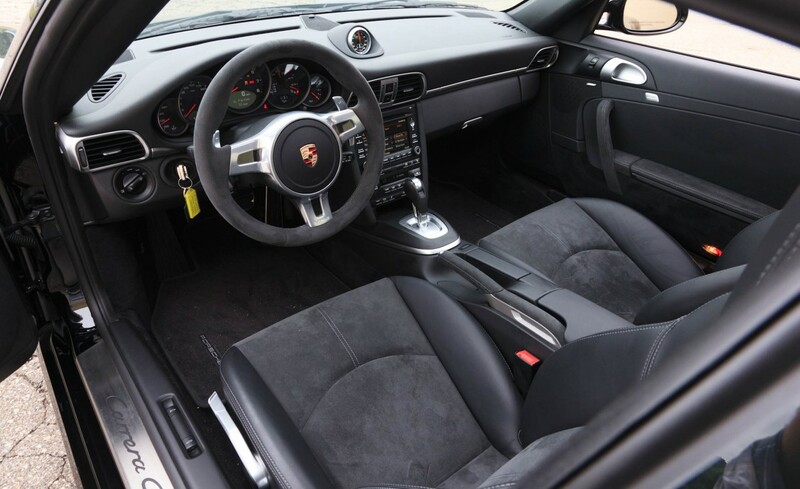 But allied with Porsche’s optional Doppel-Kupplung ($4320, bitte) automatic transaxle—better known as PDK—and amplified by the launch control baked into the Sport Chrono package (add another $1480), the flat-six squashes the driver into the Alcantara upholstery in a most gratifying manner, stretching the corners of his mouth upward as the Porsche 911 Carrera GTS rips to 60 mph in 4.3 seconds and through the quarter-mile in 12.8 at 110 mph. 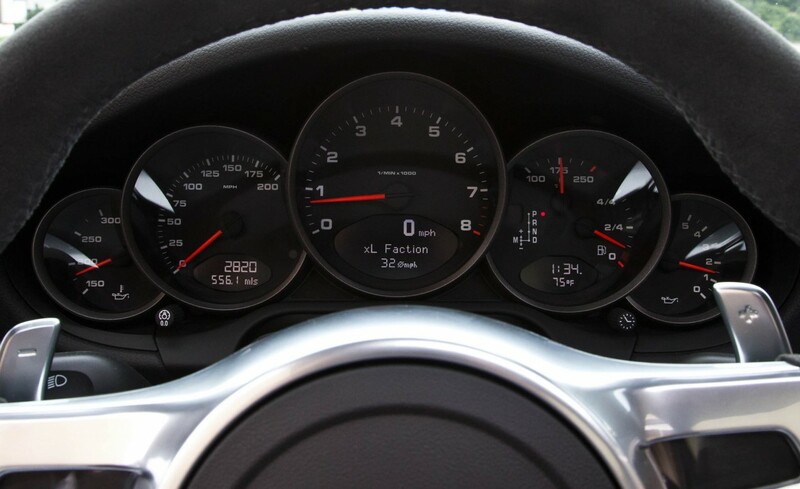 That’s nibbling at the edge of supercar territory, and the car’s dynamics are commensurate with its propensity for haste, with surgically precise steering, vivid transient response, serious grip (0.96 g), and a little less propensity for lift-throttle oversteer, a Porsche 911 handling trait further helped here by Porsche Active Suspension Management (PASM), a standard feature. 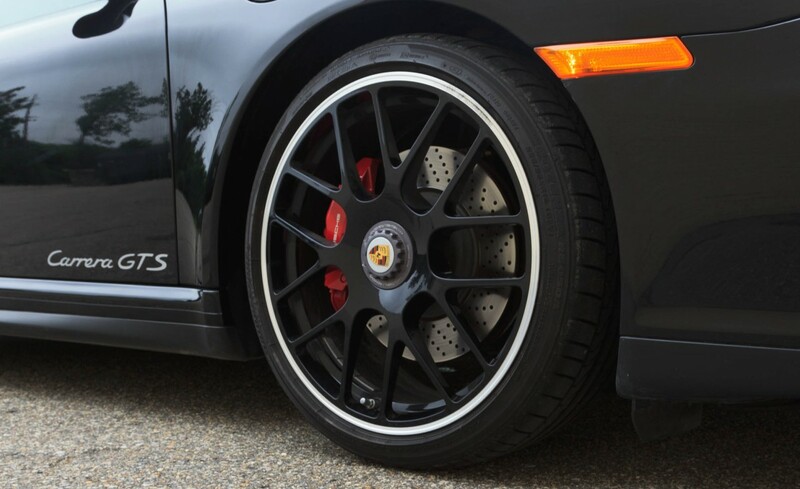 The brakes, always a Porsche strong suit, are excellent and fade-free, turning in a 158-foot stop from 70 mph. 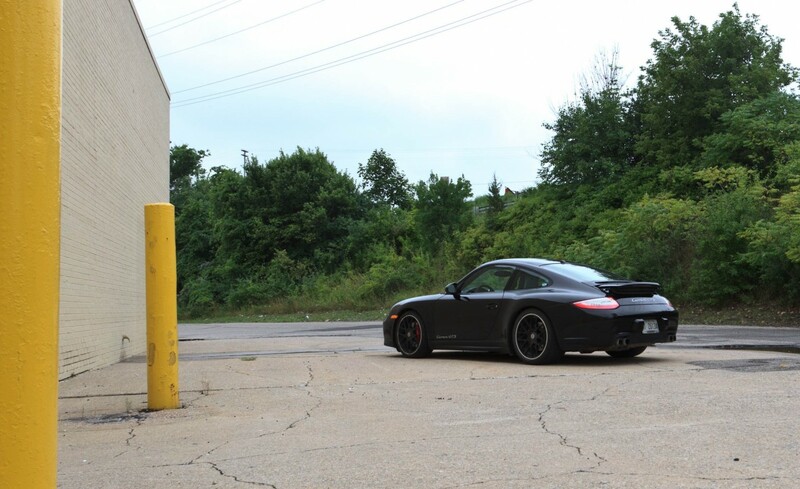 Our test car’s sinews were enhanced by an optional sport suspension package ($950), and it’s hard to imagine anyone being disappointed with this Porsche’s eager behavior at an autocross or track-day exercise. What could be disappointing, though, is the comfort penalty for this level of athleticism. 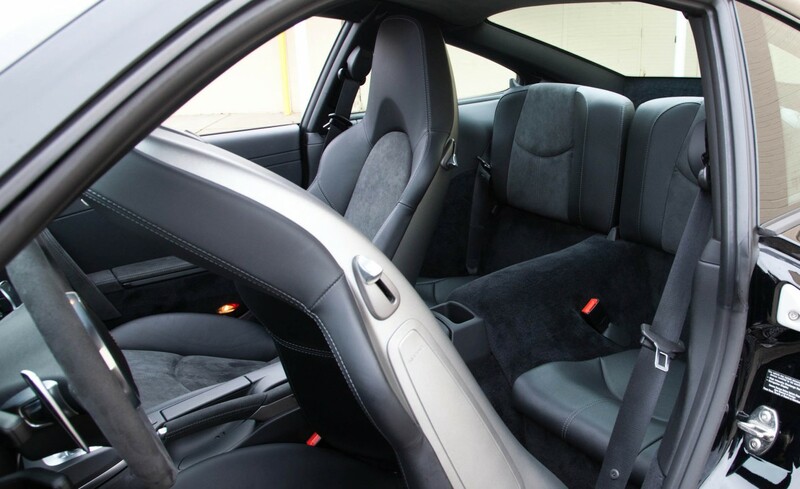 Adjust the PASM settings as you will, from most aggressive to least, and ride quality is still overly firm in everyday driving, a classification that quickly escalates to flinty when any pavement inequalities—expansion joints, asphalt patches, invisible ripples—enter the equation. 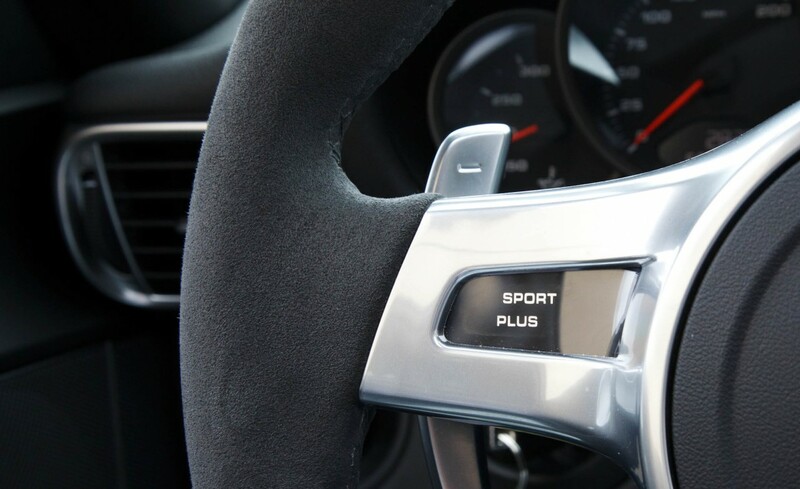 Just as the steering conveys precise information about inputs, the suspension makes occupants aware of every pavement nuance and imperfection, an info stream that quickly becomes tedious on public roads. 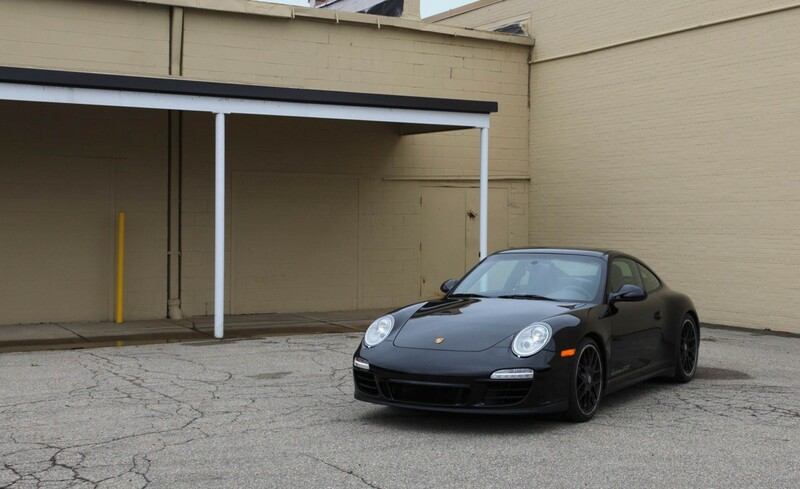 There are other tempting entries in this general price and performance category—the Jaguar XKR-S, the Maserati GranTurismo, even theomigawd Chevy Corvette ZR1—but for Porsche purists there is only the Porsche 911, and the Porsche 911 Carrera GTS is yet another expression of the car’s purity. 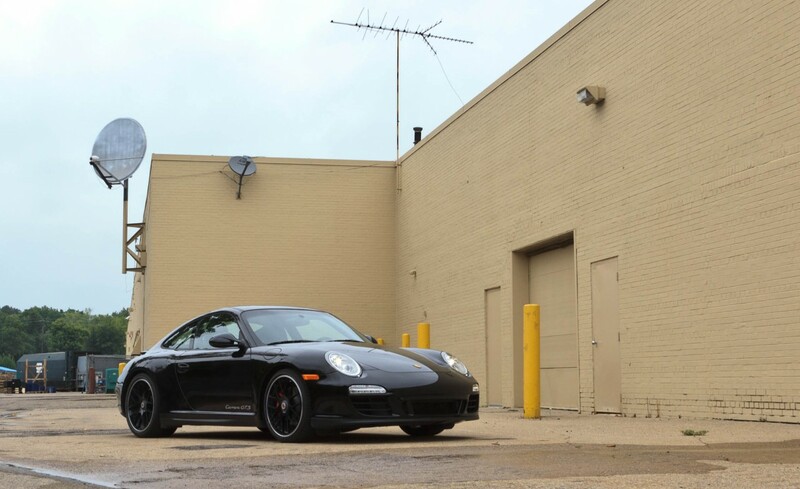 Measured against other members of the current family, it slots in just below the Porsche 911 GT3, a car that many regard as the ultimate representative of the 997 series. 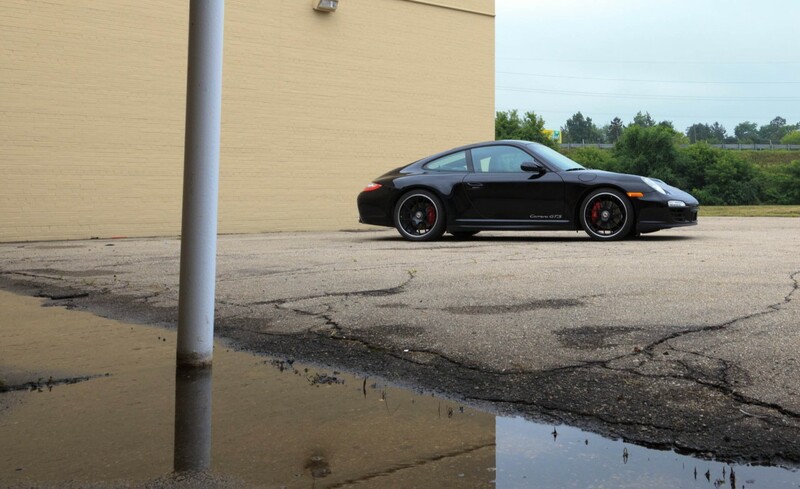 The Porsche 911 Carrera GTS isn’t quite as potent, but it’s not quite as extreme, either, nor is it as expensive. 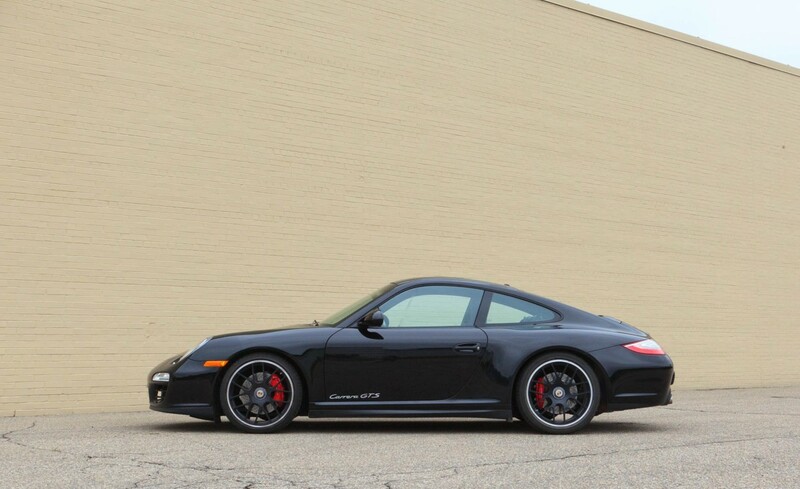 Porsche 911 Carrera GTS pricing starts at $104,050 for the coupe, $113,850 for the cabrio. 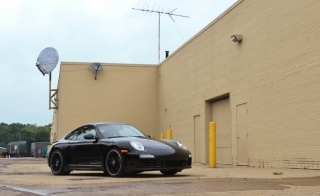 A Porsche 911 Carrera S coupe starts $12,600 lower and can be optioned up to Porsche 911 Carrera GTS engine output levels, but that option—the Power kit—will set you back $16,900 alone. 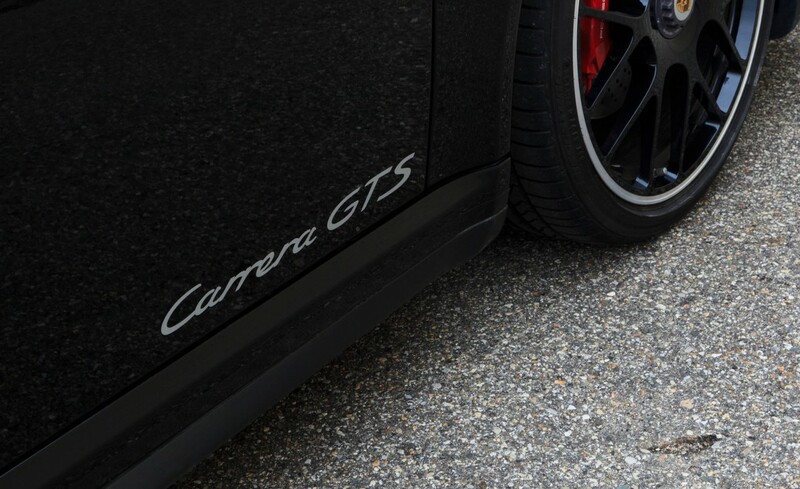 So you’re already coming out ahead if you go the Porsche 911 Carrera GTS route, with the center-lock wheels, wide-body sheetmetal, and Alcantara interior seemingly tossed in for free. This makes the Porsche 911 Carrera GTS look almost like a bargain, if the word is even applicable at this price level. 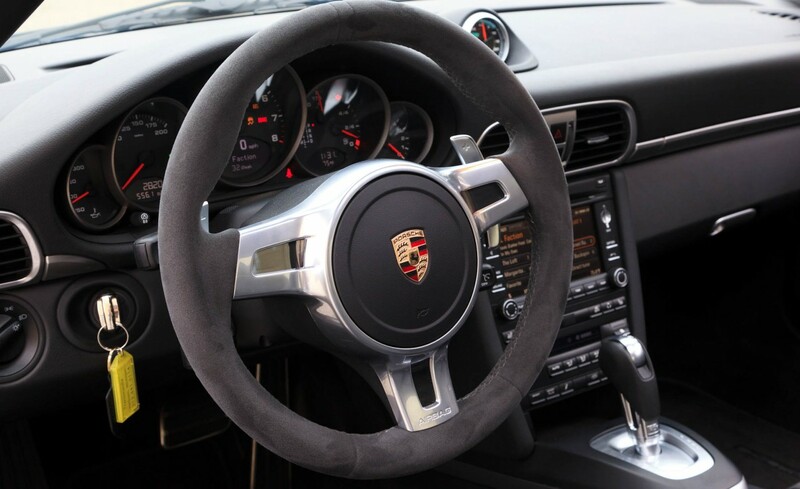 But as with any Porsche, caution is recommended when a buyer confronts the order form and the optional equipment. 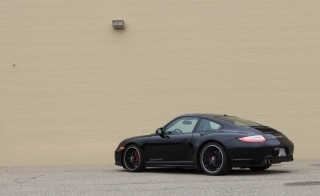 The entire Porsche 911 inventory offers hundreds of options, none of them cheap. 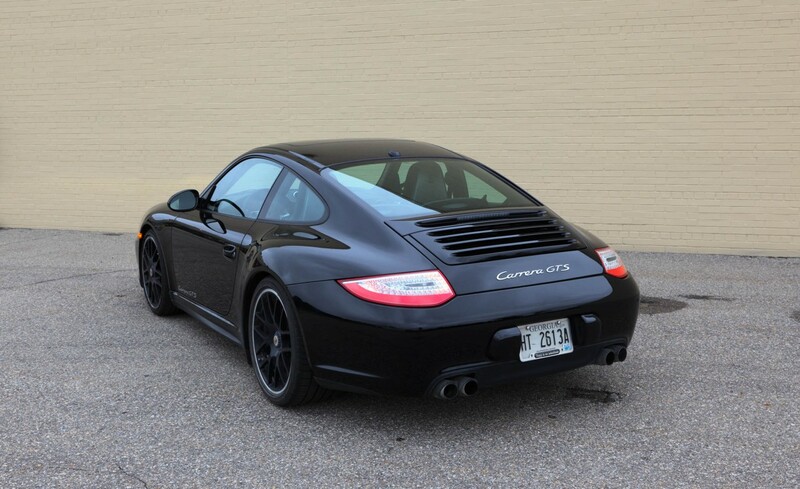 As a case in point, you’ll note that the as-tested price of this Porsche 911 Carrera GTS soars $13,295 beyond the base sticker. 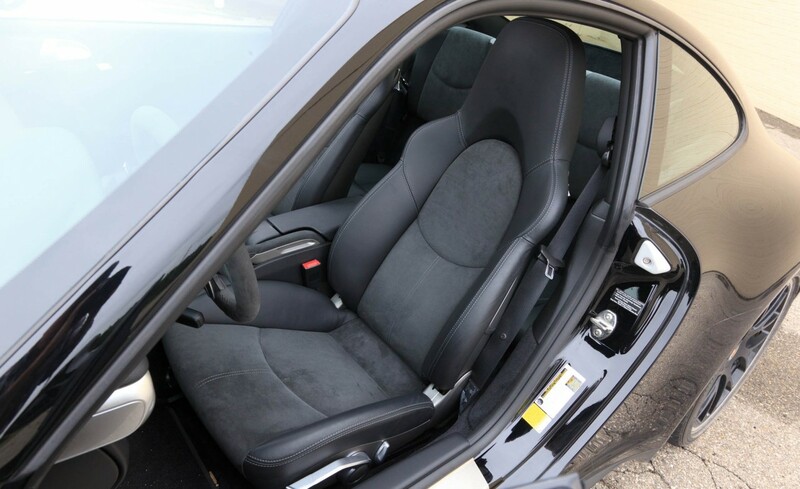 Besides the extras already noted, the list includes a nav system ($2110), Bose premium audio ($1440), XM radio ($750), dynamic cornering lights ($690), self-dimming mirrors ($420), heated front seats ($525), and exclusive to this model, clear glass covering the taillights ($610). Caveat emptor might not have been coined as a caution relative to shopping for vehicle options; still, it does seem to apply here.